GSMArena team, 05 September 2018. Many are playing the notch game after Apple made it trendy and vivo was among the first to join. While it all started with Essential and its selfie camera hole, Apple made it much bigger to fit its Kinect-like FaceID tech and that's where the market went. Now, mere months later vivo is already challenging the notch concept with the new V11. Meanwhile, the company that was the first to introduce the under-display fingerprint scanner is now also the first to try and trickle it down to the mid-range. 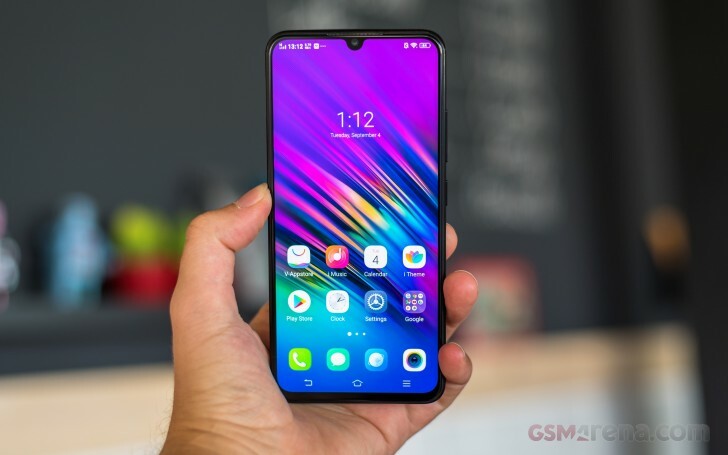 This puts the vivo V11 in a rather interesting place - it's not a flagship but more of a mid-range smartphone with not one but two standout features. The V11's glass design is certainly a looker, but the screen with that tiny curvy notch is the place where all eyes will go. Despite not belonging to the X series, the V11 has very capable hardware - there is a Snapdragon 660 chip with AI processor inside, plenty of RAM and storage, a dual-camera camera setup for those blurry backgroud shots and a high-res selfie shooter at the front. Unfortunately, vivo, just like Oppo, is still stuck in the microUSB era. Sure, the NEX S flagship went for USB-C, but here are we again back to the outdated port. On the upside it comes with fast charging support, so it's not like you will be missing on functionality - just compatibility. 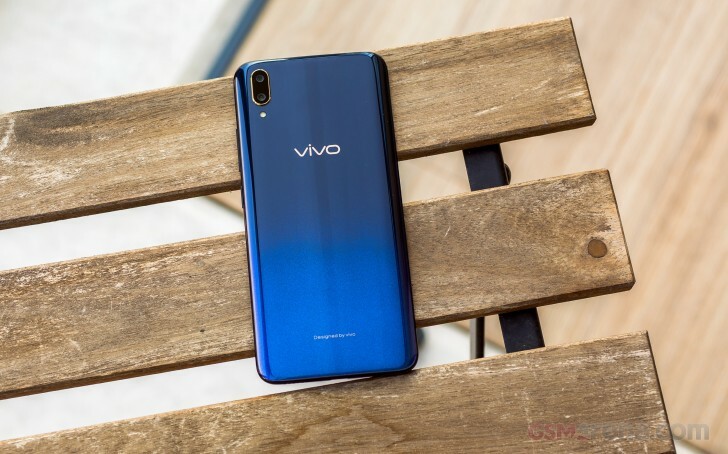 Hopping on another trend from 2018, vivo has opted for gradient paintjobs for the V11 - Starry Night and Nebula. The one we are going to review today is the Starry Night option with Black/Blue color scheme. And now it's time to unpack the vivo V11 and put it through its paces. 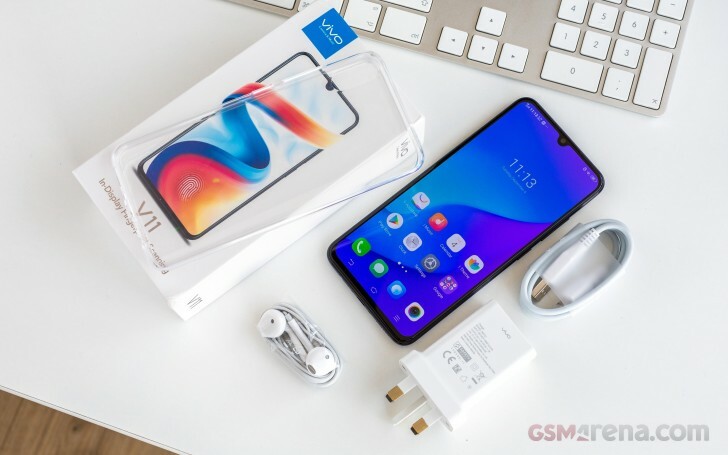 The vivo V11 retail box contains a lot - in addition to the vivo V11, we also found a microUSB cable, an 18W charger, and even a headset with design closely resembling Apple's EarPods. vivo also provides a transparent silicone case for protection, while the V11 itself comes with a factory-applied screen protector. Nice!